If you’ve ever been called a workhorse, have we ever got the men's pants for you. If you’re the kind of guy who works harder than the rest, then you know how difficult it can be to find high quality, comfortable, professional workwear that can actually stand up ... (see full details) (see specifications) #10017226. If you’ve ever been called a workhorse, have we ever got the men's pants for you. If you’re the kind of guy who works harder than the rest, then you know how difficult it can be to find high quality, comfortable, professional workwear that can actually stand up to the abuse of your daily task gauntlet. That’s why we’re here to recommend a pair of work pants that have earned the right to share the name “workhorse” with you: the Ariat 10017226 M4 FR Workhorse Men’s Charcoal Grey Boot Cut Work Pants. The concept is simple: boot cut pants that are made from durable materials, using intensive methods of construction, so that they’re sure to last. But the execution is where the magic happens. These Ariat FR pants are loaded with details and features that elevate them above the competition and put them right at the head of your closet. The fabric of these men’s flame-resistant pants is a heavy-duty 11-ounce canvas blend of 88% cotton and 12% nylon. The material is fire-resistant for safety on the job site, with an Arc rating of ATPV 12.7 cal/ cm2, and is dual-certified to NFPA 70E and NFPA 2112. These charcoal grey pants are loaded with convenient features that’ll come in handy on the job site. They have a whole array of pockets to hold all kinds of tools, including layered multi-tool pockets, a hidden cell phone pocket, a hammer loop, and extra-reinforced large back pockets for the bigger stuff. No more spending half your work day looking for the stuff you need to do the work. Durability is the name of the game when it comes to good men's workwear, of course. And this pair has plenty of it. Reinforced hem guards protect the parts of the FR Workhorse pants (the hems, obviously) that tend to put up with the most abuse. Anchored belt loops are extra-strong, and all of the zippers and hardware are heavy-duty metal. Even while covering all of that ground in terms of making these men's fire-resistant pants durable and convenient, Ariat didn’t forget about comfort. After all, if your work pants are uncomfortable, you’re not going to think about much else. With that in mind, the inseams of this Ariat workwear are sewn to be “no rub,” meaning there’s no friction along the interior part of the seam that runs up your leg. They’re cut with a traditional, relaxed shape that doesn’t restrict your movements, plus the boot cut leg openings fit easily over work footwear. A classic button and zipper closure makes them easy to wear, and a versatile dark charcoal grey color makes it totally suitable to do so. 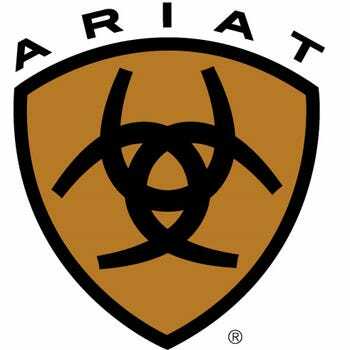 There are all kinds of things that go into the concept of “great work pants,” and when Ariat designed the Workhorse pants, they pretty much ticked all of the boxes. Durable, comfortable, good-looking, and loaded with convenient, hardworking features...your work is tough enough as it is. Choosing the right men's pants to wear shouldn’t make things harder. Get yourself a pair of Ariat 10017226 M4 FR Workhorse Men’s Charcoal Grey Boot Cut Work Pants ordered from Working Person's Store today, and focus your energy back where it belongs. On the job. I really like the canvas material these are made of. They are great for working outdoors as they are light and breath quite a bit more than any of the jeans I've worn. The only issue I've found with them is the are not true to size. I have numerous Ariat FR jeans and they fit great, so I purchased the same size in these and I'm swimming in them. I would keep that in mind when ordering. I really like the color of these pants, I thought charcoal would have been darker but it is very close to gray and I was pleased with that. The boot cut allow to be worn with every pair of boots possible and fit is very comfortable. They wash and dry well with just minor shrinking but stretch back into place. These pants are the perfect alternative to wearing a pair of basic flame resistant jeans all day. I am required to wear OSHA flame resistant items when on the floor and having to attend management meetings I hate changing. Arbor wear makes some very nice and stylish cloths that meet the floor and meeting requirements. Ariat makes some good quality clothing. I really like these pants. They ran a little big on me but only length wise. They look very good and modern. The fabric is a lot more breathable than jeans and that is what I like about these. The only drawback is that I favor cargo type pants for pockets and these do not have that. I would recommend do to the comfort and style. This was my first time to use this company and because of the AMAZING customer service we have received I WILL be back and will recommend it to everyone! Thank you so very much! Ariat Work FR Pants: M4 FR Workhorse 10017226 Men's Charcoal Boot Cut Work Pants is being added to your cart.